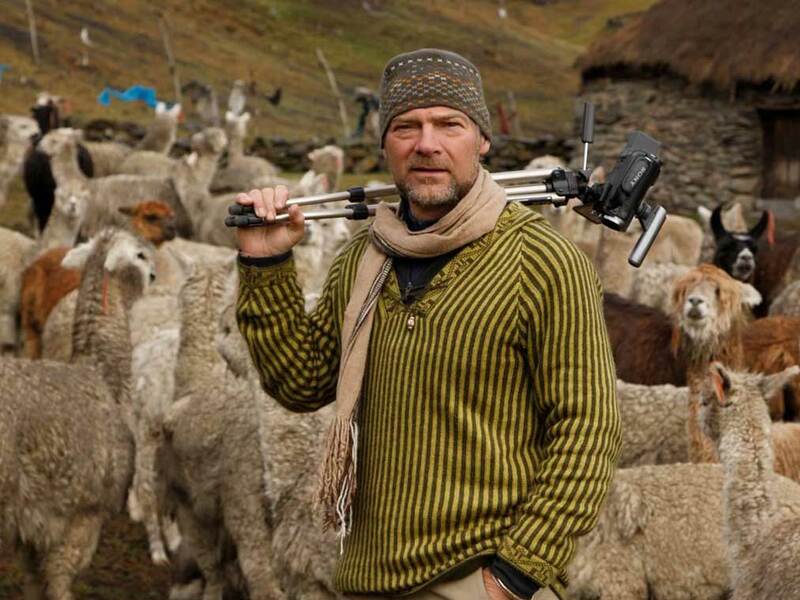 Best known as star of the six-time Gemini nominated hit TV series Survivorman (OLN Canada, The Science Channel US, Discovery Channel International, City TV (Rogers) Canada), Les Stroud continues to forge new pathways as a prolific, creative force. The only producer in the history of television to produce an internationally broadcast series entirely written, videotaped and hosted alone, Stroud is credited with starting the new genre of television known as ‘Survival TV’. Survivorman became the highest rated show in the history of both OLN Canada and the Science Channel US and among the most popular and highest rated shows on Discovery Channel US. Stroud has appeared on Late Night with Jimmy Fallon performing with Jacob Dylan as well as The Roots. He has appeared on The Ellen DeGeneres Show, Late Late Show with Craig Ferguson, MTV Live, The View, The Hour with George Strombopolous, Q radio on CBC and Larry King Live. In July 2010, Les was invited by the Prime Minister of Canada (The Honourable Stephen Harper) to meet the Queen of England and the Duke of Edinborough during their 2010 Royal Tour of Canada. Stroud’s commercial with famous Geico Gecko was referenced by David Letterman, Howard Stern and numerous other media personalities, and he has been parodied on the hit TV sitcoms ‘The Office’ and ‘King of the Hill’. Stroud has appeared in and/or produced numerous television specials including hosting the 20th Anniversary of Discovery Channel’s Shark Week; I Shouldn’t Be Alive; the Science of Survival, Surviving Sharks, Expedition Everest, Surviving Urban Disasters, After the Experiment, Deadly Waters and the documentary feature “Off the Grid with Les Stroud”. In 2010, Les received his seventh Gemini nomination as Executive Producer/Host of the hit kids TV series ‘Survive This’ (YTV, Cartoon Network) and made celebrity guest appearances on Extreme Makeover Home Edition and MTV Cribs. He continues to Executive Produce/Host the NHL celebrity survival series “Survival Challenge” (OLN/Rogers), and the Discovery Channel series, “Les Stroud Beyond Survival” which earned top ratings on both Discovery Channel US and OLN in Canada. Celebrated and captivating keynote speaker, musician and author his book “Survive! – Essential Skills and Tactics to Get You Out of Anywhere–Alive!” (Harper Collins) made the bestseller list for 20 weeks and broke the top 100 on Amazon.com. Les’ most recent book, “Will to Live” (Harper Collins), is also a bestseller. Musically, Stroud has shared the stage with the top in the business, including Alice Cooper, Steven Stills, Tommy Shaw, Robbie Krieger, Blues Traveler and The Roots. A proud member of the Explorers Club, Les contributes to dozens of charities and benefits, and is an advanced survival trainer for the Canadian Military Armed Forces.